Like the Summer Olympic Games, the Winter Olympics is a major International sporting event that takes place in the winter season every four years and is hosted by a different city around the world. 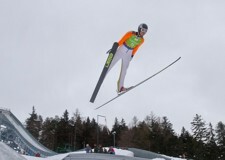 All of the games feature wintry sports on either ice and snow, such as Figure Skating, Freestyle Skiing, Snowboarding and Ski Jumping - just to name some of the most popular. The Winter Olympics came about after the success of its counterpart - the Summer Olympic Games - with the first Winter Olympics hosted in France in 1924. The games award gold, silver and bronze medals to the first, second and third places within in each sport with the next Winter Olympics scheduled to take place in Pyeongchang within Korea in 2018. Below you'll find all of the different sports currently found in the Winter Olympics. Alpine skiing is a sport that involves racing down snowy inclines whilst wearing specially designed skating equipment. Every participant dons protective gear and goggles, using a pair of poles to direct them down the hill and control their speed. 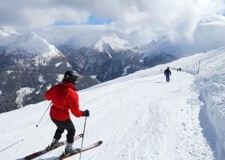 A number of different alpine skiing events take place at the Olympics with specific names attributed to various types of courses. Both men and women participate in Olympic Alpine Skiing. Biathlon is a combined winter sport event that incorporates two separate sporting disciplines – cross-country skiing and rifle shooting – into one large-scale competition. 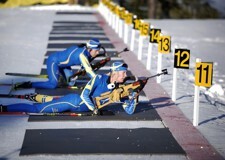 Biathlon events have been part of the Olympic program since 1960, and include both individual and team competitions. Both men and women participate in this particular sport, with Germany, Norway and Russia having the most success in Olympic Biathlons to date. Bobsleigh is a team racing sport that sees two or four competitors board a snow sled and race down an ice track against an opposing team. The sled that reaches the finish line of the ice track first is officially declared the winner. Bobsleigh events have been a near-permanent fixture in the Olympics since they first began, taking a brief hiatus in 1960. Both men and women compete. 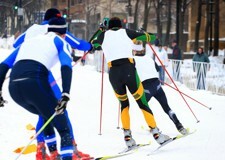 Cross Country Skiing is a competitive snow-based event that involves skiers racing across long stretches of mountainous terrain. There are numerous Cross Country Skiing events held at the Olympic games, including 10km, 18km, 30km, 50km and sprint competitions. This particular winter sport has been contested at the games since 1924, with both men and women taking part. Curling is a winter sport that involves players sliding granite stones across a patch of ice in an attempt to hit a target. 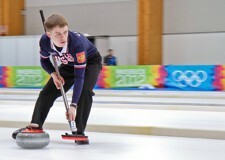 Curling is predominantly a team sport with four players on each side. A game ends when a team has finished throwing all their stones (ordinarily eight each). The team who manages to throw their stones closest to the target will win the game. Curling has been played consistently in the Olympics since 1998, although it has made sporadic appearances in several games beforehand. Figure Skating is a sport that involves artistic performances on ice with judges awarding participants points based on the flow, timing, and skill of the moves involved. Figure Skating is both an individual and team sport, and has been an ever-present feature at the Olympic games ever since 1908. Freestyle Skiing is a winter performance sport that involves the execution of acrobatics whilst sliding down inclines on skis. Participants will display a wide variety of moves in order to triumph in a competition, ranging from flips and spins to sliding across rails and boxes. Freestyle Skiing requires considerable skill and strength and has become more popular in recent years, featuring regularly in the Olympic games since 1992. 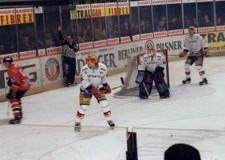 Ice Hockey is a variant of traditional hockey played on indoor courts layered with ice. Two teams (typically consisting of six players each) use sticks to strike a “puck” (the Ice Hockey game ball) into the opposition team’s net. Every player wears protective padding and helmets due to the intense, rough-and-tumble nature of the sport. Ice Hockey is extremely popular, and has been a permanent fixture at the Olympics since 1924. Luge is a winter sled sport that involves one or two participators sliding across an ice track in a lying-down position – face up and feet first. The individual or team who reaches the finish line first wins the race. Athletes use their limbs (particularly knees and shoulders) to steer their sleds and manage their speeds. Luge has been part of the Olympic games since 1964. Nordic Combined is a winter combination event that amalgamates cross-country skiing and ski-jumping into one grand-scale competition. Participants are required to wear a variety of protective equipment in order to compete, including ski suits, bindings, boots and helmets. Nordic Combined has been a constant presence at the Olympics since 1924, and Norway is currently the leading nation in the world with a total of thirty medals. Short Track Speed Skating is a competitive sport that involves racing across an area of ice. A rink is set up specifically for the event, with participants competing over a truncated track area that is smaller than the one performed upon in traditional speed skating competitions. Participants wear protective clothing and use their limbs to balance themselves and control their speed whilst circling the track. Skeleton is a winter sport that involves riding a sled down an ice track whilst lying face down and head first. Skeleton is a sport reserved for individuals rather than teams, and like Bobsleigh or Luge, participants are required to angle their bodies at the right times in certain ways to control the direction and speed of their sled. 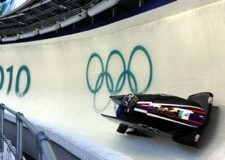 Skeleton has appeared at the Olympics on several occasions, including the last four games. Ski Jumping is a skiing sport where athletes ski at high speeds towards a takeoff ramp and jump off as far as they can. The further away participators land from their takeoff ramp, the more points they are awarded. Judges also score athletes points on style whilst airborne and landing technique. Ski Jumping has been a part of the Olympics since 1924, and remains a very popular sport in the winter games. 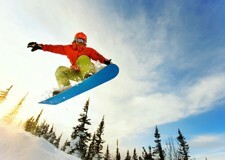 Snowboarding is a winter sport whereby athletes stand on boards and slide down snow-covered inclines. Snowboarding made its debut at the Olympic games in 1998 and has continued to feature ever since. There are as many as ten different types of Snowboarding events contested at the games, and all involve participators tackling tracks with alternate terrain, including pipe races and time-trial competitions. Speed Skating is a winter sport that involves several participants competing against one another in a race across ice, with the skater who reaches the finish line first declared the official winner. 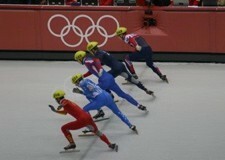 Speed Skating is contested by both individuals and teams, with a number events being held at the Olympics across various lengths of track. It has been an ever-present discipline at the games since 1924.